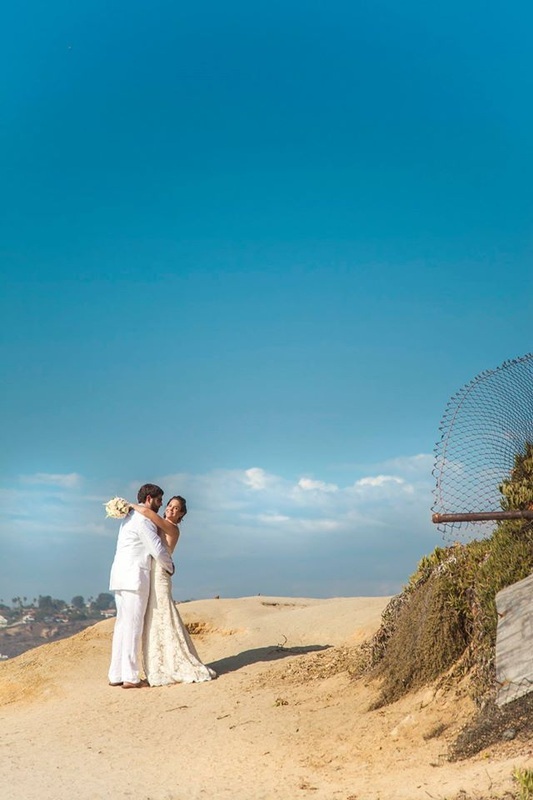 "I ATTENDED A WEDDING IN LA JOLLA THAT ASHLEY OF ADORE WEDDINGS COORDINATED. I AM COMMENTING AS A GUEST AND WHAT I OBSERVED. THE WEDDING WAS GORGEOUS AND ELEGANT WITH ATTENTION TO DETAIL AT EVERY TURN. 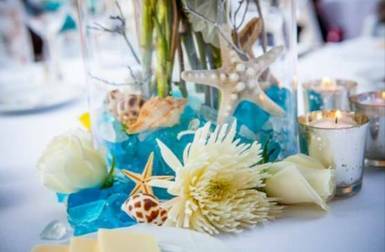 FROM THE BEAUTIFUL SET UP ON THE BEACH FOR THE CEREMONY, TO THE TABLE DECOR AND FAVORS AT BOTH THE COCKTAIL HOUR AND AT THE RECEPTION, HER IMAGINATION AND CREATIVITY WERE EVIDENT EVERYWHERE. IT WAS ONE OF THE MORE BEAUTIFUL WEDDINGS I HAVE ATTENDED AND I HEARD THAT SENTIMENT FROM MANY OF THE GUESTS IN ATTENDANCE AS WELL. AT ONE POINT., I MOMENTARILY STEPPED OUT OF THE RECEPTION AREA INTO THE HOTEL LOBBY WHERE I WAS APPROACHED BY A NON WEDDING HOTEL GUEST WHO ASKED ME DETAILS ABOUT WHO COORDINATED THE WEDDING ETC. SHE EVEN REQUESTED I GET HER AN E-MAIL ADDRESS OF THE BRIDE, SO THAT SHE COULD SEND SOME OF HER PICTURES THAT SHE TOOK FROM THE BALCONY OF HER ROOM THAT OVERLOOKED THE CEREMONY. SHE WAS RAVING ABOUT HOW GORGEOUS THE WEDDING WAS, SO MUCH SO THAT SHE COULDN'T RESIST TAKING PICTURES, EVEN THOUGH SHE DIDN'T KNOW THE BRIDE AND GROOM, NOR ANYONE AT THE WEDDING!! 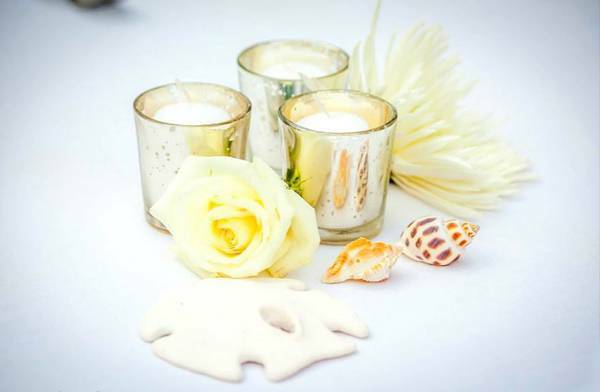 ALL IN ALL, I WOULDN'T HESITATE TO RECOMMEND ADORE WEDDING DESIGN TO ANY BRIDE THAT IS LOOKING FOR AN EXTRA SPECIAL EXPERIENCE ON HER WEDDING DAY. ASHLEY IS TRULY TALENTED AND YOU CAN TELL IT'S A LABOR OF LOVE." 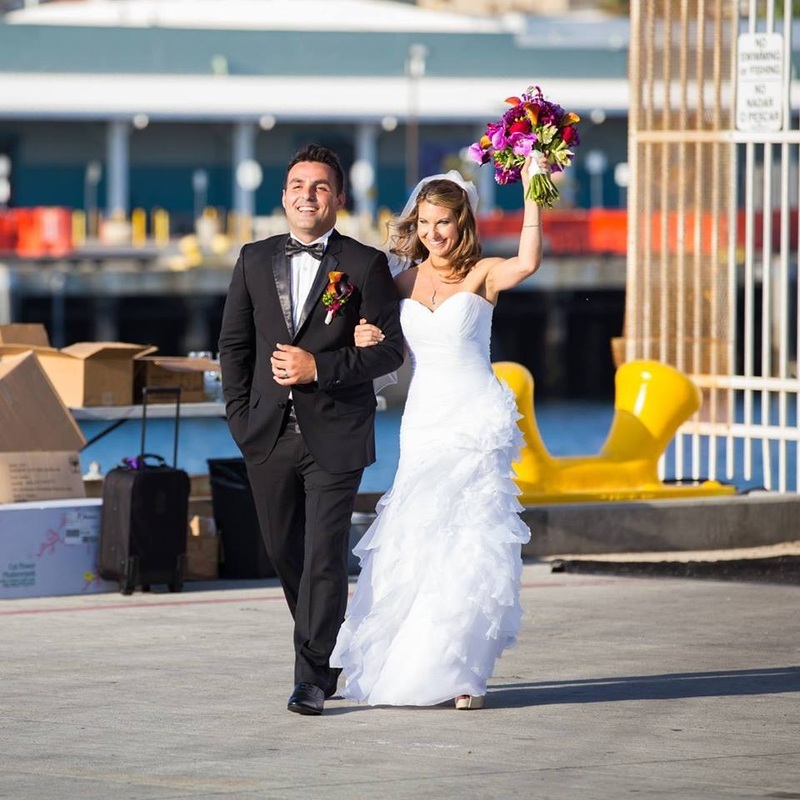 " I GOT MARRIED A FEW WEEKS AGO AND OUR WEDDING WAS ABSOLUTELY PERFECT! TRULY THE BEST DAY OF MY LIFE, BETTER THAN I COULD HAVE EVER IMAGINED, AND I OWE A LOT OF THAT TO ASHLEY MAYO FROM ADORE WEDDING DESIGN. ASHLEY WAS BY OUR SIDE FROM THE VERY BEGINNING TO HELP US PLAN THE ENTIRE WEDDING. SHE WAS AN ABSOLUTE BLESSING AND SHE RELIEVED ALL OF OUR STRESS DUE TO THE WEDDING! THANK YOU ASHLEY! 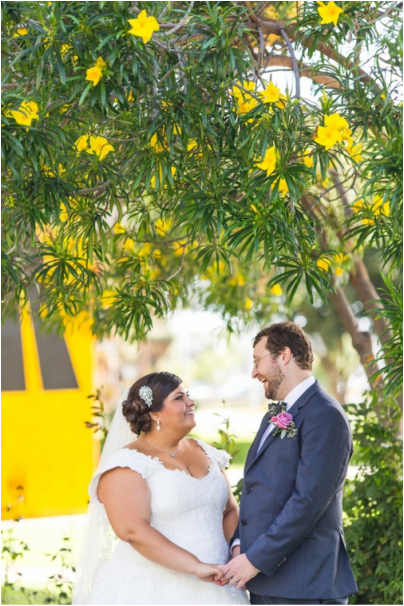 ASHLEY RECOMMENDED AMAZING VENDORS, SENT TASK LISTS, DEVELOPED TIMELINES, COMMUNICATED WITH VENDORS, CALMED OUR NERVES, AND MADE OUR DREAM WEDDING COME TRUE. I TOLD ASHLEY HOW I ENVISIONED MY WEDDING AND SHE EVEN MADE ME MY VERY OWN WEDDING PINTEREST PAGE WITH GREAT WEDDING IDEAS FROM WHAT I HAD TOLD HER. FROM THIS PAGE I GOT ALL KINDS OF GREAT IDEAS THAT I NEVER WOULD HAVE THOUGHT OF WITHOUT ASHLEY. LIKE MY LOVE STORY CHALK BOARD, MY WINE CORK SETTING CHART, AND MY CENTERPIECES. ASHLEY WAS THERE FOR OUR FOOD TASTING, CAKE TASTING, MEETING WITH FLORISTS, AND SHE EVEN HELPED US PICK A RESTAURANT TO HOLD OUR REHEARSAL DINNER. WHEN THE DAY FINALLY CAME, SHE WAS THERE THE WHOLE TIME. SHE DID A BEAUTIFUL JOB OF SETTING THE WEDDING UP; SHE KEPT EVERYTHING FLOWING SO SMOOTHLY, I DIDN’T WORRY ABOUT A THING THE ENTIRE TIME! THE DECOR WAS BEAUTIFUL AND EXACTLY WHAT WE WERE HOPING FOR. WE ARE STILL GETTING COMPLIMENTS FROM GUESTS. OUR GUESTS SAID IT WAS THE BEST WEDDING THEY EVER WENT TO. I WOULD 110% RECOMMEND ASHLEY FROM ADORE WEDDING DESIGN. I DON’T KNOW HOW I WOULD HAVE GOT THROUGH THE WEDDING PLANNING PROCESS WITHOUT HER. SHE IS AN ABSOLUTE GEM! TO ANYONE WHO IS LOOKING FOR A WEDDING PLANNER AND WANTING THE WEDDING OF THEIR DREAMS GO WITH ASHLEY FROM ADORE WEDDING DESIGN. SHE IS VERY PROFESSIONAL, ORGANIZED, AND WONDERFUL! HAVING ASHLEY AS OUR WEDDING CO COORDINATOR WAS THE BEST DECISION WE MADE. OUR WEDDING WAS AMAZING! THANK YOU ASHLEY FROM THE BOTTOM OF OUR HEARTS! WE HAD THE WEDDING OF OUR DREAMS! YOU ARE SO WONDERFUL, TALENTED, AND CREATIVE." 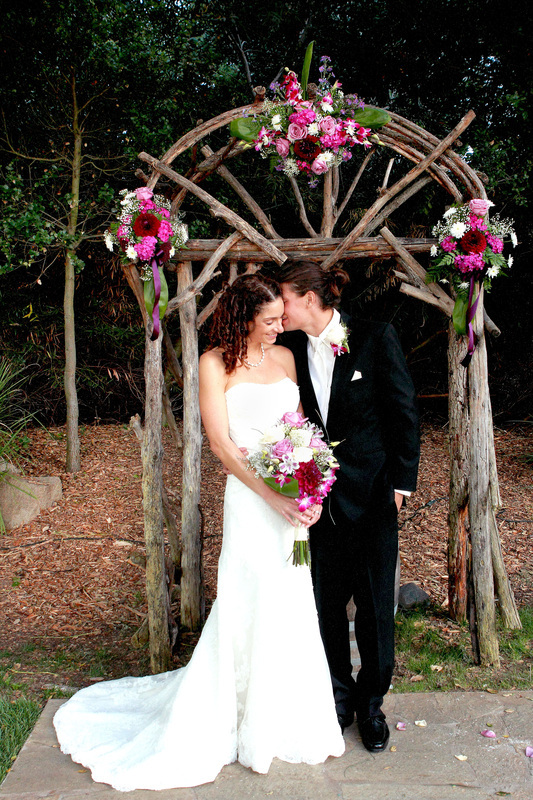 "I WAS THE FLORIST FOR MY SISTER'S WEDDING ON SEPTEMBER 7TH. ASHLEY WAS THE DAY-OF COORDINATOR AND SHE WAS AMAZING FROM START TO FINISH! SHE WAS ORGANIZED AND PROFESSIONAL AND HELPED A TON! SHE CALLED ME TO WORK OUT TIMES FOR DROP OFF OF THE THE FLOWERS AND CLEAN UP TIME. SHE PLACED ALL MY FLOWERS AND MADE SURE THE CEREMONY AND RECEPTION AREAS WERE PERFECT. THE WHOLE TIME DURING THE WEDDING, SHE WAS SPOT ON WITH ORGANIZING PEOPLE AND THEIR DUTIES. I WOULD HIGHLY RECOMMEND ASHLEY FOR ANY OF YOUR WEDDING COORDINATING NEEDS. SHE IS A WONDERFUL PERSON AND HELPED OUT ABOVE AND BEYOND HER NORMAL CALL OF DUTY!" 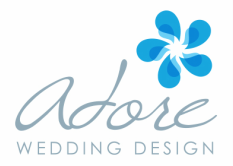 "ASHLEY WITH ADORE WEDDINGS WAS AN EXCELLENT WEDDING PLANNER. SHE IS VERY SWEET, KNOWLEDGABLE AND TAKES CONTROL. OUR DAY WAS PERFECT AND STRESS FREE WITH ASHLEY. THANKS FOR EVERYTHING!!" "ASHLEY WAS SUCH A PLEASURE TO WORK WITH FOR OUR WEDDING. I AM TERRIBLE AT PLANNING AND CALLING PEOPLE TO GET THE JOB DONE, AS I JUST NEVER HAVE TIME WITH WORK. SO, I AM SO HAPPY THAT WE MET ASHLEY TO HELP US DO EVERYTHING I DID NOT WANT TO DO OR JUST DID NOT HAVE TIME TO DO. SHE MADE HERSELF AVAILABLE AT EVERY CALL OR TEXT I MADE. ALL I HAD TO DO WAS ASK HER TO CALL A VENDOR FOR ME AND SHE DID IT IN A SECOND. I WAS VERY IMPRESSED WITH HER CUSTOMER SERVICE AND HER ATTENTION TO DETAIL. I KNOW THAT I COULD HAVE NEVER DONE HALF THE JOB THAT SHE PROVIDED FOR US TO MAKE OUR WEDDING DAY THE BEST IT COULD HAVE EVER BEEN. BESIDES DOING ALL THE HARD WORK MONTHS BEFORE THE WEDDING, SHE DID ALL THE HARD WORK ON THE DAY OF THE WEDDING. SHE WAS THE FIRST ONE TO ARRIVE, GRAB THE BOXES OF DECORATIONS, AND DECORATE MY ENITRE RECEPTION/CEREMONY. THEN SHE HELPED THROUGHOUT THE ENTIRE WEDDING GETTING THINGS DONE AND EVEN BROUGHT US WATER WHEN WE WERE TAKING PICTURES IN THE HOT SUN, SINCE SHE WAS DENIED BY SECURITY TO BRING US ALCOHOLIC DRINKS OUTSIDE THE RECEPTION. BUT THEN SHE WAS THE LAST ONE TO LEAVE THE RECEPTION AS WELL, CLEANING EVERYTHING UP AND LEAVING IT ALL IN MY ROOM, SO MY HUSBAND AND I COULD GO PARTY AT THE NEXT LOCATION. SHE WAS A BLESSING!! 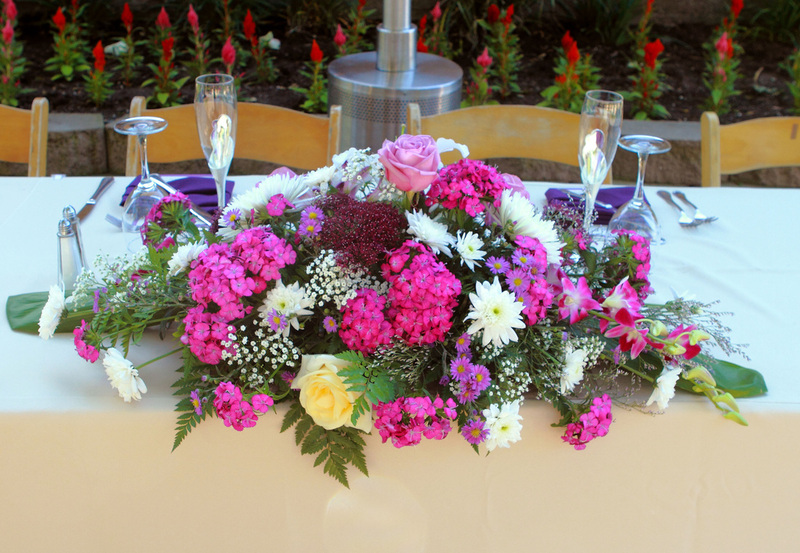 IF YOU CALL SOMEONE ELSE FOR A WEDDING PLANNER, YOU ARE MAKING THE BIGGEST MISTAKE OF YOUR LIFE..."
"MY HUSBAND AND I WORKED WITH ASHLEY FOR OUR WEDDING AND WE COULDN'T HAVE BEEN HAPPIER WITH HER SERVICE. SHE WAS SO LAID BACK AND AND SEEMED SO "STRESS-FREE" THAT IT SPREAD TO ME AND MADE ME FEEL SO COMFORTABLE. SHE EXCEEDED ALL OF OUR EXPECTATIONS. NOT ONLY WAS EVERYTHING DONE THE WAY IT WAS SUPPOSED TO BE, BUT BEYOND. WE ALWAYS RECEIVED A REPLY WHEN WE HAD A QUESTION AND WERE ALWAYS PLEASED WITH THE RESPONSE. I WOULD ABSOLUTELY RECOMMEND ADORE WEDDING DESIGN!! YOU WILL NOT REGRET IT :)"
"ASHLEY WAS A LIFE SAVER. ORIGINALLY, RECOMMENDED TO US FROM A CATERER WE DIDN'T END UP USING. I AM SO GRATEFUL FOR HAVING SAVED HER INFO. LIFE/WEDDING PLANNING SENT US MANY MANY RANDOM LEMONS AND ASHLEY HANDLED IT AND RELIEVED ME OF MUCH STRESS. PROFESSIONAL, CALM, FRIENDLY AND MORE THAN ANYTHING, THERE TO HELP IN ANYWAY. PICKING UP DRY ICE FOR MY ICE CREAM CART WHEN NO ONE ELSE COULD, BUYING A LOCKET LAST MINUTE FOR MY BRIDAL BOUQUET, ARRANGING AN ENTERTAINMENT SURPRISE FOR THE GROOM AND ALWAYS MAKING SURE WE HAD A DRINK IN HAND AT THE RECEPTION!!! ASHLEY LET THIS OVER PLANNER/CONTROL FREAK REALLY RELAX. SHE ASSISTED ME WITH THE "MONTH OF SERVICES" AND SHE WAS IN CONTACT WITH ME MUCH MORE THAN JUST THAT MONTH, REALLY REALLY MADE AN EFFORT TO SET ME UP TO BE TOTALLY PREPARED. AFTER SPENDING ALL PF THAT MONEY ON THE WEDDING, THE ONE THINGS I WANTED TO ACCOMPLISH WAS BEING ABLE TO ACTUALLY ENJOY MYSELF, ACTUALLY BEING ABLE TO SIT BACK AND BE A GUEST. ASHLEY MADE THAT POSSIBLE. SHE IS A ROCK STAR AND STILL GETTING COMPLIMENTS FROM MY OVER JUDGMENTAL FAMILY OF HOW GREAT SHE WAS. TRADITIONALLY NO ONE HAS WEDDING PLANNERS. I KNOW I MADE THE RIGHT CHOICE THEN, DURING AND NOW. NOT JUST A LUXURY BUT A TOTAL ASSET AND MUST HAVE TO PROPERLY ENJOY YOUR BIG DAY. MONEY WELL SPENT. IN SHOPPING AND MEETING SOME OF EVEN SAN DIEGO'S PREMIER PLANNERS... NOT ONLY IS ASHLEY FAIRLY PRICED... SHE BLEW SOME OF THOSE VERY POPULAR PLANNERS AWAY. NO EGO, NO POWER TEAM, JUST HER AND ALL OF HER ATTENTION ON YOU! THANKS ASHLEY... TOM AND GEN ARE SOOO HAPPY TO HAVE HAD YOUR HELP! WE WILL MISS YOU!!" ﻿"MONEY WELL SPENT! I CANNOT RECOMMEND ASHLEY MAYO ENOUGH!!! WE HIRED ADORE WEDDING DESIGN TO MANAGE OUR HOTEL BLOCKS AS WELL AS DAY OF COORDINATING FOR OUR AUGUST 3RD WEDDING ON CORONADO ISLAND AND THIS WAS ABSOLUTELY ONE OF THE BEST PLANNING DECISIONS WE MADE. ASHLEY IS AN ALL-STAR. SHE WAS PROFESSIONAL, ACCOMMODATING AND EXTREMELY THOROUGH AND SHE THOUGHT OF EVERYTHING! ASHLEY ALWAYS MADE ME FEEL LIKE MY WISHES AND CONCERNS WERE A PRIORITY AND HER COMMUNICATION SKILLS WERE EXCELLENT. SHE MANAGED OUR VARIOUS VENDORS 9AND OUR HUGE FAMILIES!) WITH EASE AND A SMILE ON HER FACE. OUR WEDDING DAY WAS EVERYTHING WE COULD HAVE WANTED AND MORE.Money well spent! FROM TROUBLESHOOTING HOTEL BLOCK ISSUES TO SERVING AS THE LIASON BETWEEN OUR NUMEROUS VENDORS, TO ENSURING PERFECT SET UP OF OUR DECOR. ASHLEY DID IT ALL! HER CALM AND REASSURING PRESENCE PUT US AT EASE AND ALLOWED US TO FULLY ENJOY OUR WEDDING CELEBRATION. WE LOVED WORKING WITH ASHLEY! DON'T PASS HER UP!" I WOULD HIGHLY RECOMMEND ASHLEY AS A WEDDING PLANNER. SHE WAS A NECESSARY STRESS RELIEVER FOR OUR WEDDING DAY. WE USED ASHLEY AS OUR DAY OF PLANNER AND SHE WENT ABOVE AND BEYOND JUST THE DAY OF THE WEDDING. SHE MET WITH US MULTIPLE TIMES BEFORE THE WEDDING, SO CALLING HER A DAY OF EVENT PLANNER DOES NOT DO HER ENOUGH JUSTICE. SHE HELPED US COORDINATE OUR CEREMONY AND FOLLOWED UP WITH ALL OF THE VENDORS TO KEEP US ON TRACK AND ORGANIZED FOR THE BIG DAY. SHE CREATED OUR TIMELINE AND HELPED US STAY ON TRACK TO MAKE OUR WEDDING DAY RUN SMOOTHLY. ASHLEY'S ATTENTION TO DETAILS AND PLANNING WAS AMAZING. WE MADE OUR OWN CENTERPIECES AND TABLE RUNNERS. ASHLEY SET OUR TABLES AND MADE THE VENUE LOOK BEAUTIFUL. SHE PICKED UP OUR DESSERTS AS THEY DID NOT DELIVER AND HELPED TO IMPLEMENT ALL OF OUR DIY PROJECTS. SHE PROVIDED A VASE FOR OUR SWEETHEART TABLE FLOWER ARRANGEMENT AND EVEN HAD ADVIL ON HAND FOR MY HEADACHE. 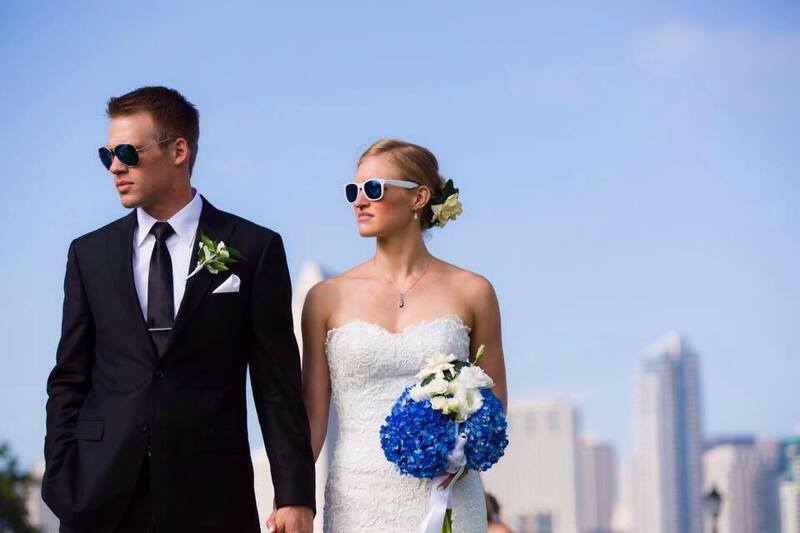 SHE IS VERY PROFESSIONAL AND PERSONABLE AND HER CALM AND CONFIDENT DEMEANOR ALLOWED MY HUSBAND AND I TO ENJOY OUR WEDDING WITHOUT WORRYING ABOUT ANYTHING. SHE ALWAYS MADE HERSELF AVAILABLE IF I NEEDED HER. SHE LISTENED TO WHAT WE WANTED FOR OUR WEDDING DAY AND HELPED MAKE IT A REALITY. I MAY BE A LITTLE BIASED BUT OUR WEDDING WAS AWESOME!! AND ASHLEY WAS INSTRUMENTAL IN MAKING OUR DAY PERFECT. ASHLEY, THANK YOU SO MUCH FOR EVERYTHING, WE HAD SUCH A GREAT TIME!!! THANK YOU FOR ALL YOUR HARD WORK. I JUST FLOATED THROUGH MY DAY AND I KNOW IT'S BECAUSE THERE WERE SO MANY LITTLE ANGELS TAKING CARE OF THINGS, I.E. YOU!!! OUR WEDDING WENT VERY SMOOTHLY THANKS TO ALL THE HELP WE RECEIVED FROM ASHLEY. SHE WAS ALWAYS QUICK TO RESPOND TO EMAILS AND STAYED ON TOP OF EVERYTHING---ESPECIALLY ALL OF THE THINGS WE DIDN'T EVEN THINK OF! SHE ALSO NEVER MADE ME FEEL LIKE I WAS DRIVING HER NUTS WITH ALL THE BACK AND FORTH, WHICH WAS CERTAINLY POSSIBLE TOWARDS THE END OF WEDDING PLANNING. ASHLEY PROVIDED SERVICE WITH A SMILE FROM BEGINNING TO END. I WOULD DEFINITELY RECOMMEND HER SERVICES TO A FRIEND. 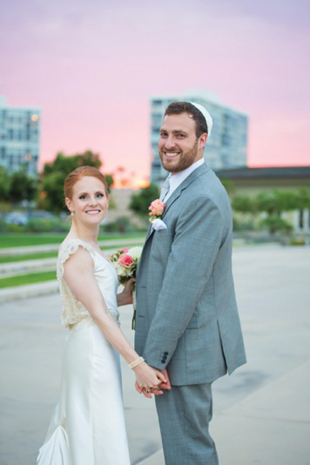 We booked Ashley for month-of planning services, and it was THE BEST decision! Ashley was an enormous help in planning our wedding. Whenever we were feeling stressed out, or far behind in the planning process, Ashley's calm, confident demeanor helped us feel like we were in good shape. She efficiently handled all of the logistics for the wedding day, and made sure our venue looked absolutely stunning, and that we didn't have anything to worry about while we were getting ready. She also recommended some awesome vendors for us in the last few weeks. I can't recommend Ashley enough for anyone getting ready to plan a wedding. Money very very well spent! !